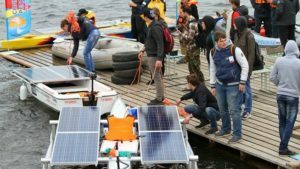 The SSU has developed an educational program for advanced training for the ANO “National Center for Engineering Competitions and Competitions”: “The Theory of Design of Vessels Using Alternative (Renewable) Sources of Energy”, Portnews reported. On September 20-30 an approbation of this program of additional professional education was carried out in the educational and laboratory complex of REC “Center for Marine Research and Technologies”. 12 students took part (the direction of training is the design and construction of vessels and oceanic equipment ships). The program plan is designed for 72 academic hours. Classes were held in full-time for 9 days for 8 academic hours. The final certification includes the presentation of the conceptual design of the vessel using alternative (renewable) energy sources. “The objectives of the professional education program “The Theory of Design of Vessels Using Renewable Energy Sources” is the formation of competencies in the field of alternative energy sources in shipbuilding among students, and the acquisition of practical skills in designing such ecological vessels”, says the president of the organizing committee of the international contest “Solar Regatta”, director of ANO “National Center of Engineering Competitions and Competitions ” Yevgeny Kazanov. This program provides an innovative approach to learning. Training of students is conducted in a creative atmosphere, free from “pressure” from the established stereotypes. Principles of the learning process: learning through research, learning through action and process. Classes assume a personal-oriented and project approach, which is very important when implementing MARINET projects. Within the framework of the implementation of the MARINET roadmap, the Program promotes the development of engineering and technical education, the integration of knowledge, and the enhancement of the prestige of engineering professions in the subject area of ​​Marinet. 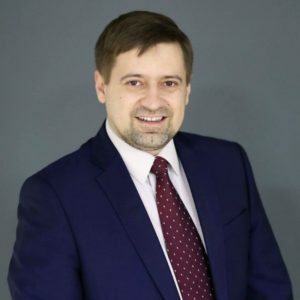 In 2018, the Program will be implemented in the largest Russian universities, providing training for the most demanded and promising professions using the new technologies of training – Kaliningrad State Technical University, Maritime State University named after Admiral Nevelskoy and Sevastopol State University.